We’ll begin exploring the inner section of the Old Town, a UNESCO World Heritage site, with a walking tour. 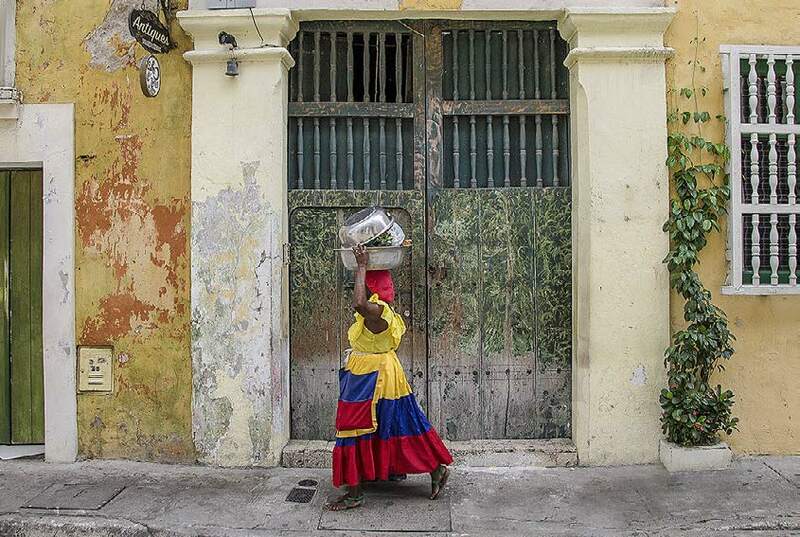 We’ll learn about Cartagena’s colonial history and stroll through the immaculately restored colonial core of the city where the upper class lived. To the southwest is the large triangular Plaza de la Aduana, once the seat of power in colonial times. It is surrounded by stately colonial mansions, and a statue of Christopher Columbus presides in the center. Our walk will focus on Gabriel García Márquez, or Gabo as he is affectionately known. We’ll stop at places that Gabo mentions in his works, including those that figure prominently in his novels Love in the Time of Cholera, Of Love and Other Demons, and The General in His Labyrinth. We’ll also visit some of the places related to his own life, like his house in Cartagena and the university where he studied to be a lawyer, as well as the old offices of the newspaper where he commenced his career as a journalist. We’ll also visit the Gabriel García Márquez Foundation offices to learn more about the foundation’s work in supporting journalists. Later, we’ll go to a private home to take a cooking class. After lunch, we’ll visit the Castillo San Felipe de Barajas, the greatest fortress ever built by the Spaniards in any of their colonies. The original fort was commissioned in 1630 and was quite small. Construction resumed in 1657 on top of the 130-foot-high San Lázaro hill. In 1762, an extensive enlargement was undertaken, which resulted in the entire hill being covered over with this powerful bastion. It was truly impregnable and was never taken, despite numerous attempts to storm it. A complex system of tunnels connected strategic points of the fortress to distribute provisions and to facilitate evacuation. The tunnels were constructed in such a way that any noise reverberated all the way through them, making it possible to hear the slightest sound of the approaching enemy and also making it easy for internal communication.